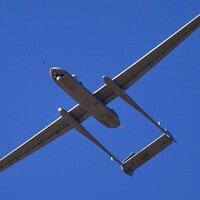 Officers of one of the St. Petersburg military representations have started technical acceptance of the Orlan-10 unmanned aerial complexes. 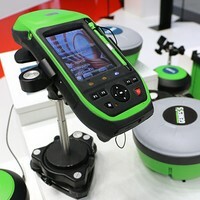 In May the manufacturing enterprise was going to transfer 40 samples to the RF Defence Ministry units. 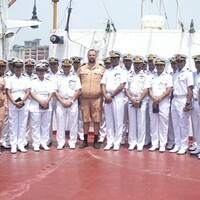 The Russian Navy Commander-in-Chief Admiral Vladimir Korolyov thanked the crew of the oceanographic research vessel Admiral Vladimirsky for the successful, the first in several decades, call at the port of Chittagong (Bangladesh). 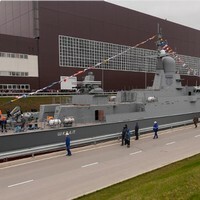 It is the third small missile ship Shkval Project 22800 (Karakurt) that has been commissioned at the Pella Shipyard in St. Petersburg. The Project 21631 small missile ship Vyshny Volochyok passed the final stage of state trials in the city of Novorossiysk and was to be commissioned by the Russian Navy in May. 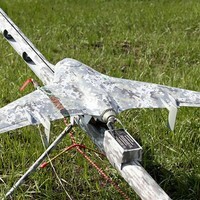 The Kazan military representation has started technical acceptance of Eleron-3 unmanned aerial vehicles. According to the current State Defence Order, the manufacturing enterprise was to transfer 30 systems to the Defence Ministry units in May. 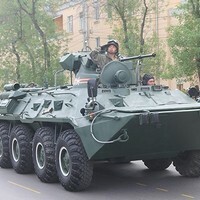 Marines of the Caspian Flotilla have been reinforces with new BTR-82A armored personal carriers (APC) which arrived in Dagestan from Kostroma region. Artillery units of the combined arms army of the Western Military District have received the Shturm-S anti-tank missile complexes. 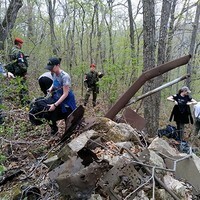 In accordance with the international military cooperation plan of the Russian Defence Ministry, a Russian-American joint expedition has commenced in Primorsky Krai. 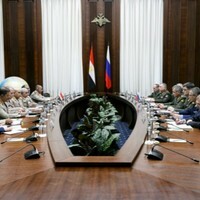 General of the Army Sergei Shoigu, the Russian Acting Defence Minister, held negotiations with Colonel General Sedki Sobhy, the Defence Minister of Egypt, on 14th of May. More than 380 servicemen from 22 countries took part in the 33rd CISM World Military Wrestling Championship in Moscow. On May 16, the Deputy Defence Minister Alexander Fomin had a meeting with Markus Ederer, EU Ambassador to Russia. 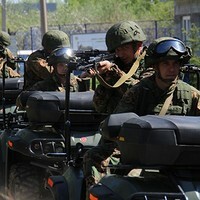 The Belarus Special Forces military delegation has arrived in Ulyanovsk in order to take part in training for Airborne Troops intelligence headquarters senior staff. The delegation was made up of intelligence officers of the Special Forces. Northern Fleet search-and-rescue forces are ready for the Barents 2018 Russia-Norway exercise. The exercise involves Nikolay Chiker rescue tug, Il-38 ASW aircraft, Ka-27PS, and Ilya Muromets multifunctional ice-breaker. 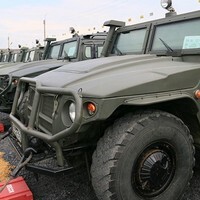 The Russian Airborne Troops have received the 4WD Tigr armored vehicles supplied under the state contract. 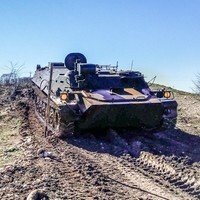 New vehicles equipped with the Arbalet-DM remote control system are actively used in the troops during tactical and fire trainings. Ruslan Tsalikov, the First Deputy Defence Minister, inspected the construction of the air defence combat duty zone on Kunashir Island. 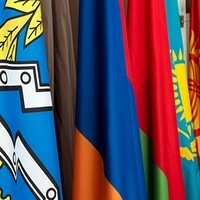 Defence ministers of the CSTO countries agreed on holding the Echelon 2019 exercise. This was stated by the CSTO Joint Staff Chief Anatoly Sidorov after the session of the CSTO Defence Ministers’ Council. The Minister of Defence of the Russian Federation General of the Army Sergei Shoigu arrived in Astana to participate in CSTO Defence Ministers’ Council. Russia is interested in strengthening and expanding of military and technical cooperation with Kazakhstan. This was stated by the Russian Defence Minister General of the Army Sergei Shoigu at his meeting with Nursultan Nazarbayev, the President of Kazakhstan. The military delegations of the Collective Security Treaty Organization (CSTO) countries conducted reconnaissance of the areas in Yekaterinburg where the Unbreakable Brotherhood 2018 upcoming joint exercise is to take place. 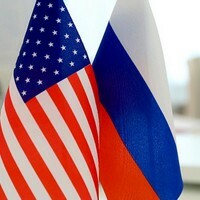 Technical negotiations of the Cold War working group took place within the framework of the Russian-American Commission on POW/MIAs in Vladivostok. 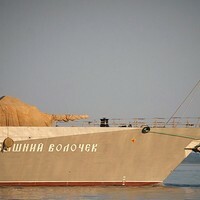 The solemn ceremony of commissioning the small missile ship Vyshny Volochok of the Black Sea Fleet was held on June 1 in Sevastopol, at the beginning of the summer training season. In March, the Il-78M-90A aircraft underwent a number of ground tests. 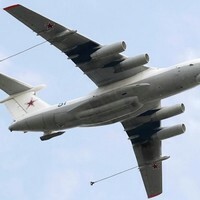 The plant flight trails of the newest Russian Il-78M-90A tanker are scheduled for July. The Baltic Fleet’s rescue tug MB-737 and An-26 naval aircraft took part in the Search-and-Rescue-2018 (SAR-2018) international exercise on rescuing people at sea. 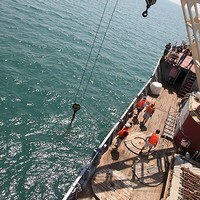 The event took place in the Baltic Sea international waters. 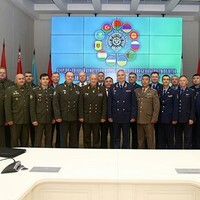 Minsk, Republic of Belarus, hosted a session of the Coordinating Committee for Aviation Safety of Armed Forces of the CIS on 29-30 May. Defence ministers of Russia and Israel, General of the Army Sergei Shoigu and Avigdor Lieberman respectively, held negotiations in Moscow. International Special Operations and Forces Exhibition and Conference SOFEX is one of the largest thematic exhibitions in the Middle East and Northern Africa. 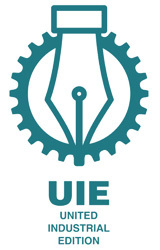 It has been held biannually since 1996. 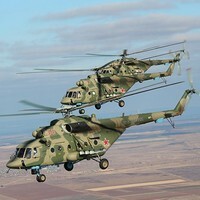 Rosoboronexport has been participating in it since 1998. 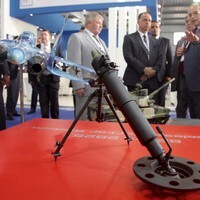 Rosoboronexport, Rostec’s member, set up a joint Russian exposition at the International Special Operations Forces Exhibition SOFEX-2018 that took place on May 8-10, 2018 in Jordan's capital Amman. 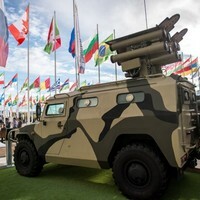 International Exhibition of Weapons Systems and Military Equipment KADEX 2018 was held under the aegis of the Ministry of Defence and Aerospace Industry of the Republic of Kazakhstan on an air base near Astana on May 23-26. JSC Rosoboronexport has taken part in the gala reception for ambassadors and defence attaches of foreign states devoted to the 65th anniversary since the creation of the Russian Federation’s system of military and technical cooperation with foreign countries. JSC Rosoboronexport was organizing a unified Russian exposition at the International Exhibition of Weapons Systems and Military Equipment KADEX 2018. 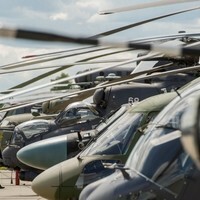 Rosoboronexport demonstrated the entire range of Russian military helicopters at the tenth International Helicopter Industry Exhibition, HeliRussia 2018, that was held from May 24 to 26 at the Crocus Expo Center in Moscow. KAMAZ prepared financial results for the last year under IFRS. Consolidated proceeds of PJSC KAMAZ exceeded RUB 156 billion, and net profit amounted to about RUB 3.5 billion in 2017. 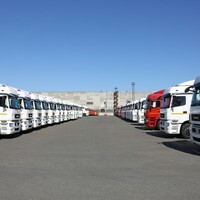 Almost 40,000 trucks were sold in total. 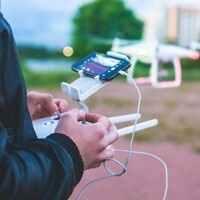 Rostec State Corporation affiliate Tekhnodinamika Holding kickstarted a new line of activity, namely: unmanned aircraft tests using a Parachute Building Research Institute airfield for the purpose. 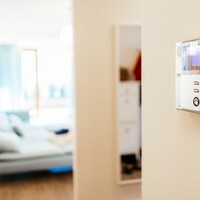 The Smart Doorphone system designed by Rostec undergoes final tests for integration with Moscow emergency response services, municipal and management companies, Russian Post and security companies. First smart doorphones may appear in Moscow as early as at the end of the year. 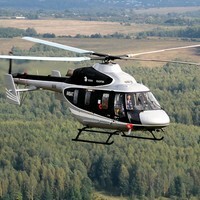 Representatives of the PRC Civil Aviation Administration visited a Kazan Helicopter Plant affiliated to the Russian Helicopters Holding. 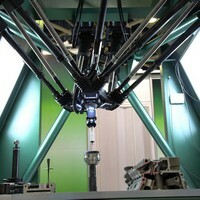 The visit took place under the procedure of Russian Ansat type certificate validation in China. 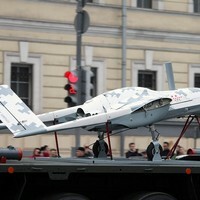 Rostec State Corporation-affiliated Roselectronics Holding exhibited Korsar drone for the first time at the Victory Parade on May 9, 2018. 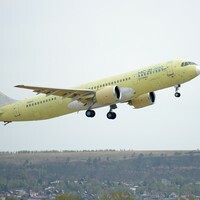 The second prototype aircraft MC-21-300 began the flight tests. 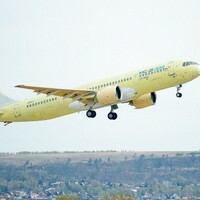 The aircraft took off for the first time on May 12 at the Irkutsk Aviation Plant aerodrome, a branch of Irkut Corporation (affiliated to UAC). For the third year in a row Rostec State Corporation tops the list of the 100 largest Russian IT companies according to the analytical center TAdviser. The Shvabe holding company, an affiliate of the Rostec State Corporation, took part in the meeting of the Russian-Chinese Committee on important strategic cooperation in the field of satellite navigation. Holding High Precision Systems NPO, affiliated to Rostec, introduced a line of multi-purpose high-precision turning, turning and milling and milling processing centers with Russian computer numerical control system "Olympus". 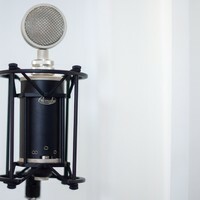 For the first time Octava products became available to consumers via online megamarket. 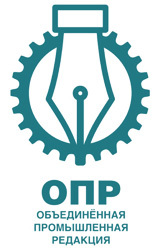 Tula-based factory signed an agreement with OZON.ru, one of the first Russian e-commerce projects in the B2C segment. 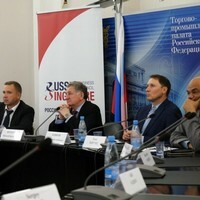 On May 16, the General Meeting of the Russia-Singapore Business Council was held at the Chamber of Commerce and Industry of the Russian Federation. 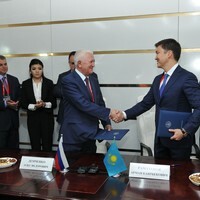 The meeting was attended by 55 people representing 40 companies, including Rostec State Corporation. 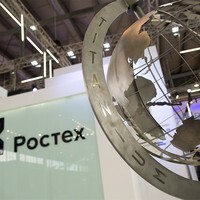 Rostec presented key projects of the State Corporation on the information display at the Saint Petersburg International Economic Forum. 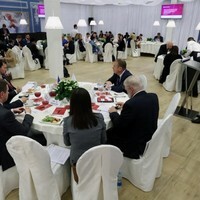 Representatives of the business and official circles, business associations of the Eurasian Economic Union and the Association of Southeast Asian Nations came together for the first time to discuss the cooperation prospects at the Saint Petersburg International Economic Forum 2018. 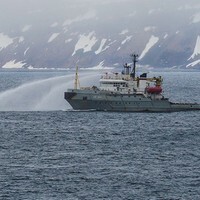 The Technodinamika holding company, an affiliate of Rostec State Corporation, develops equipment to be used by the services of the Ministry of Emergency Situations of Russia and explorers during expeditions to the Arctic shelf areas. On May 12, 2018, the maiden flight of the second MC-21-300 test aircraft took place at the airfield of Irkutsk Aviation Plant, the affiliate of Irkut Corporation. May 15, 2018, Moscow. “Tupolev” PJSC, part of the United Aircraft Corporation, gained the rights of a sole executive body concerning joint stock company “360 Aircraft repair plant”. 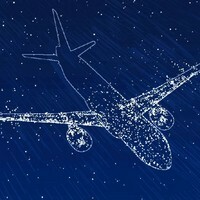 UAC’s subsidiaries are actively implementing digital technologies, aimed to solve the main task - increasing the current and future competitiveness of Russian aircraft on the global market. On 24 May 2018, Republic State Enterprise Kazspetsexport of Ministry of Defense and Aerospace Industry of the Republic of Kazakhstan and Irkut Corporation signed the contract for delivery of another batch of Su-30SM multirole fighters.